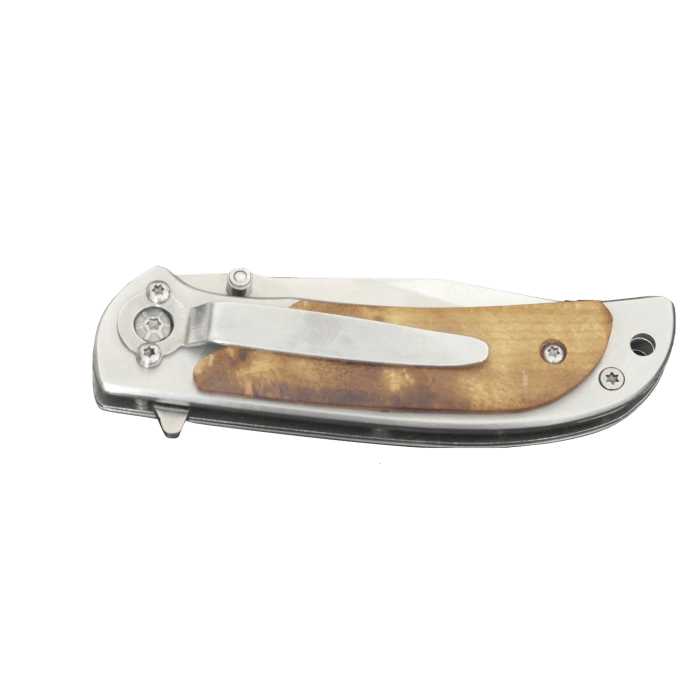 This beautiful hand made D2 steel bushcraft knife is not only great looking but incredibly sturdy: Hand made from high quality D2 steel-one of the best steels for knife making. 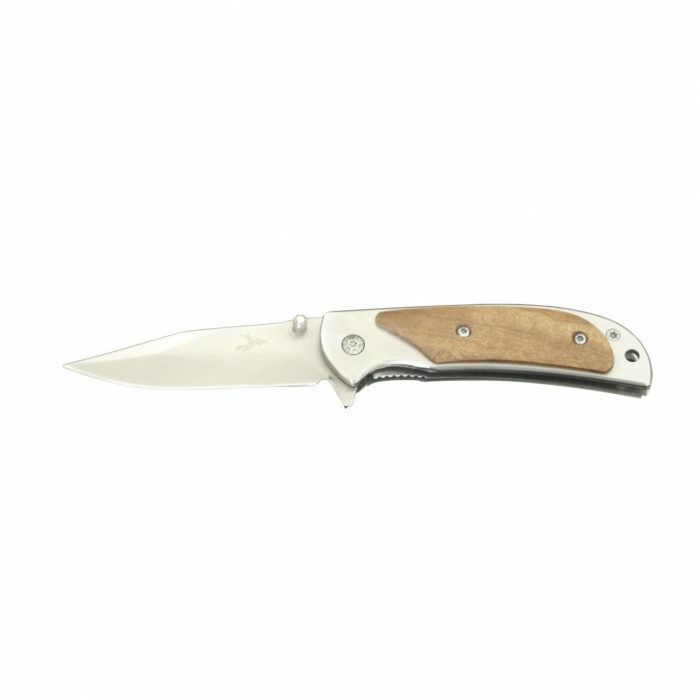 A grip made from natural wood, riveted to a 5mm thick full tang blade gives uncompromising strength. 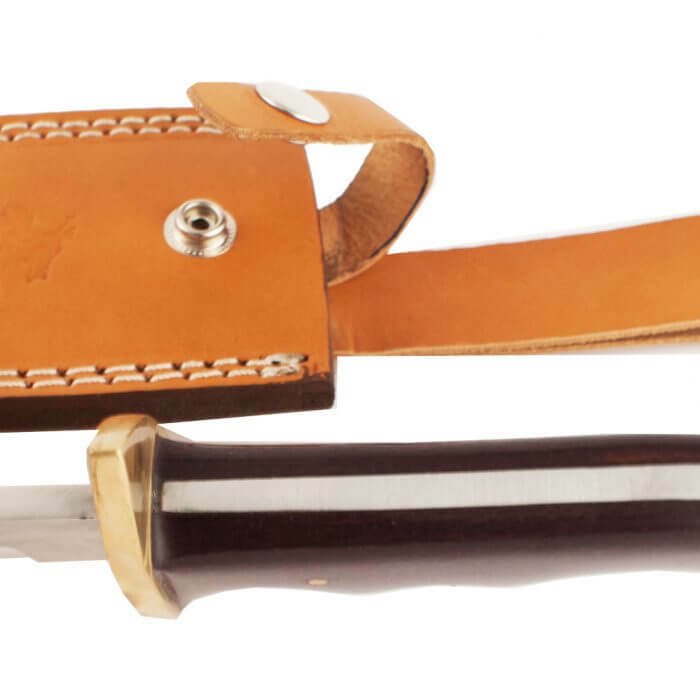 Comes complete with thick hand made leather sheath. 23 cm or 9 inches full length. 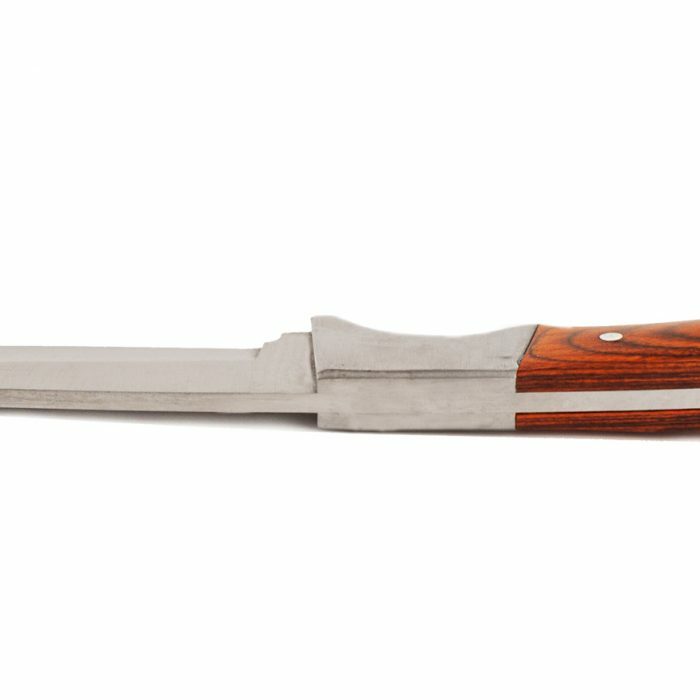 A genuinely stunning, beautiful, quality knife. 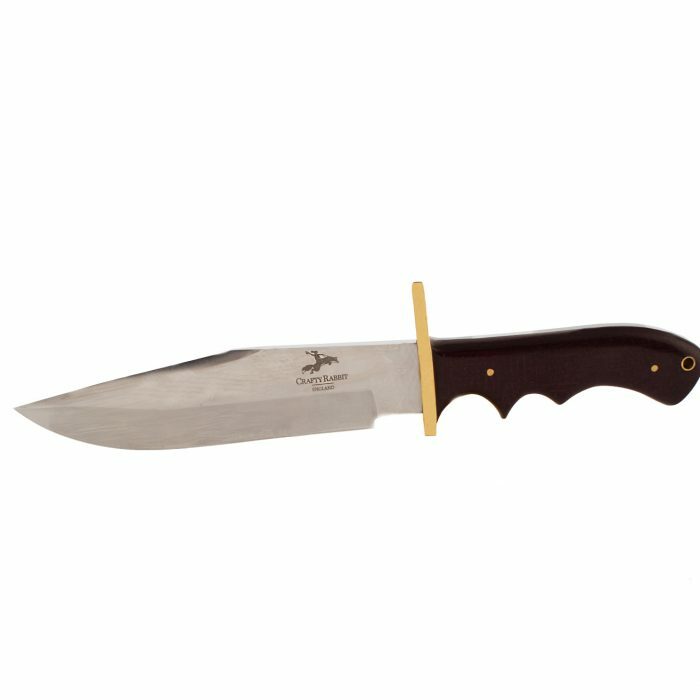 When it comes to being out in the field this really is a knife you can depend on. 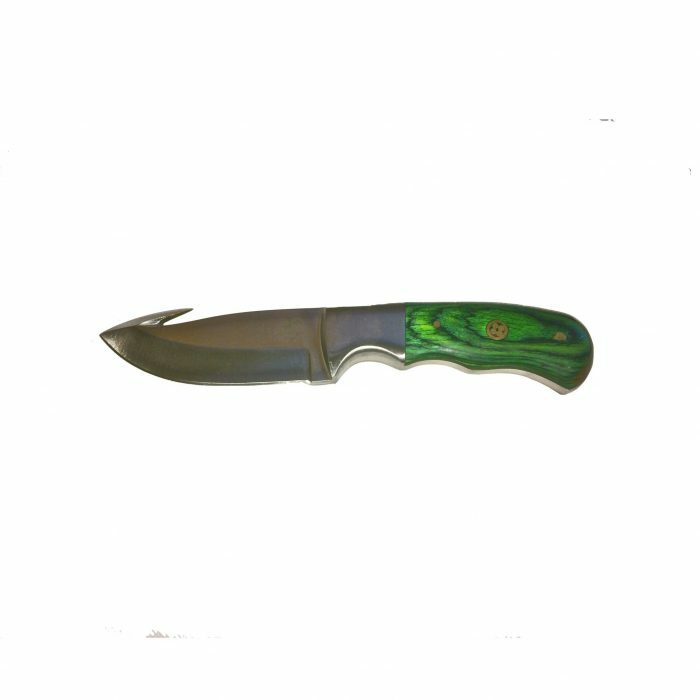 This knife is hand made from natural materials so colours may vary slightly from the picture; no two natural materials ever look exactly the same. D2 steel has different properties to stainless, D2 is considered a “semi- stainless” steel and is a compromise between high carbon and stainless steels. 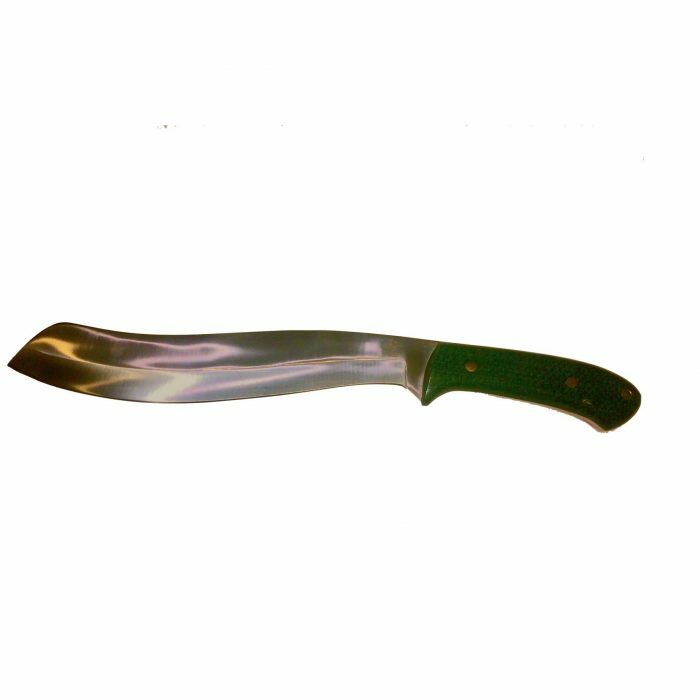 it is slightly more prone to rust and buyers should be aware that they need to care for these knives! 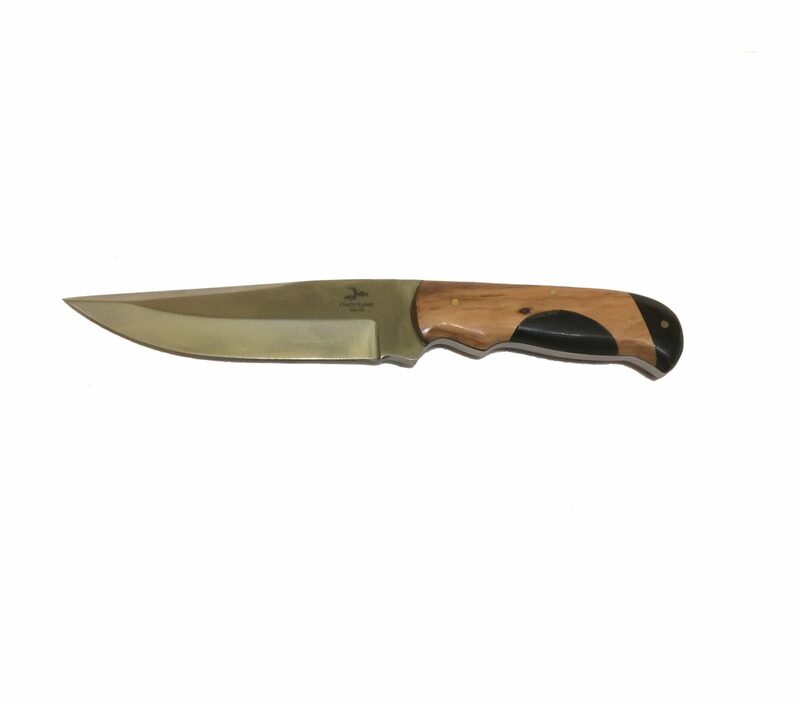 These knives must be kept in dry conditions when not in use and oiled or waxed regularly. 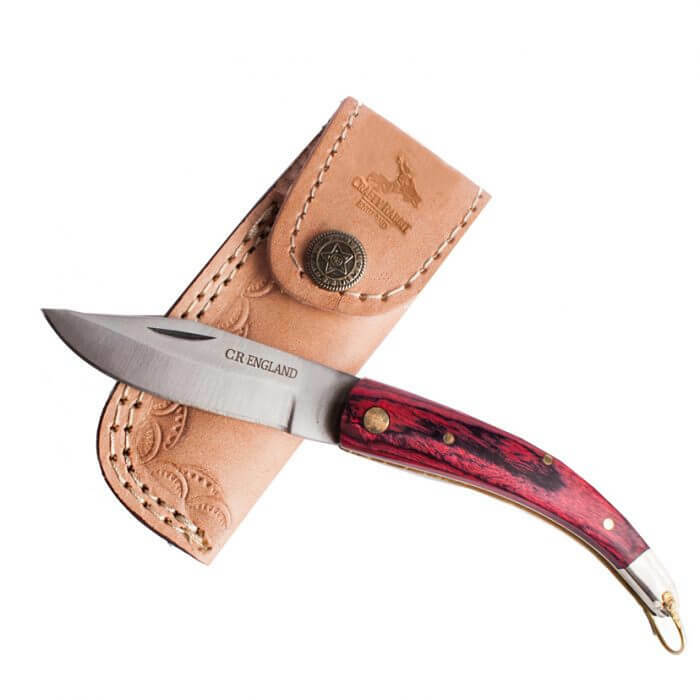 We do supply a genuine hand made leather sheath but your knife should not be stored in this sheath for long periods of time, leather has a tendency to absorb moisture keeping it in close contact with the blade: This knife is for the serious Bushman only! This is reflected in the price, materials used, the beauty and quality. This is a truly gorgeous piece of kit and one that deserves to be looked after. Delivery is free of charge to most mainland UK destinations please check with Royal Mail that we can deliver to your address before ordering.